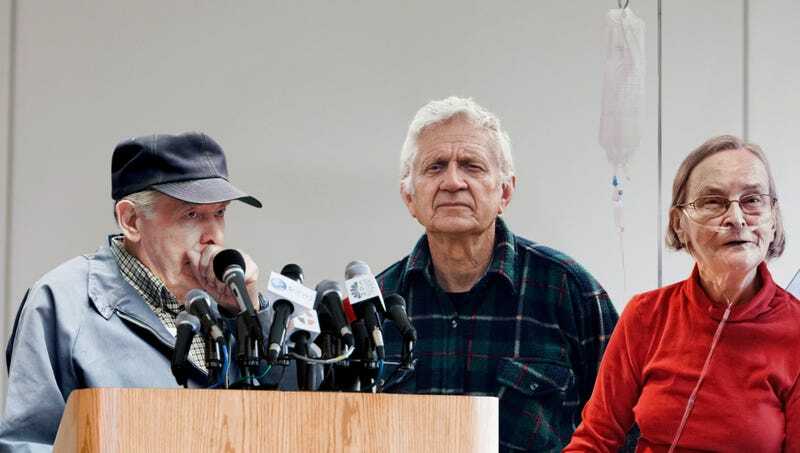 BOCA RATON, FL—Struggling to deliver the remarks in between violent coughing fits, the nation’s baby boomers held a press conference Thursday to announce that they all have diseases now. “We felt it was important to go on record and affirm that each and every one of us is stricken with an illness now,” said 72-year-old Milton Kofax, hunching over his podium as he explained that while some boomers were sicker than others, the millions of Americans of his generation were all, to a person, in poor health. “While certain symptoms may come and go, the fact that we are afflicted with a variety of ailments will be the one and only constant in our lives from this point forward. Even those of us who seem fit and hardy on the surface are actually suffering from dementia or are simply unaware for the moment of the tumors growing inside them.” Kofax added that he could not say when all baby boomers would be dead, though he acknowledged he was asked that question frequently.